Nonviolent Communication (NVC) guides us to re-frame how we communicate with each other, helps us identify what is alive inside and find ways to express that. It allows us to work through conflict peacefully with integrity, and improve how we express ourselves. But as amazing as NVC is at strengthening connections with self, friends, loved ones and community, the benefits haven’t been accessible to all communities. Sadly, NVC ’s packaging and delivery hasn’t always been done in a way that’s felt inclusive to all. 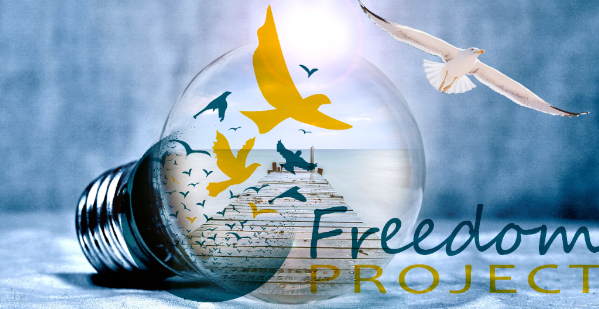 In the criminal legal system, People of Color are disproportionately impacted; however, many of Freedom Project’s classes are facilitated by white-identified people, and feedback from program participants and People of Color is that NVC’s framing and delivery has problematic nuances and unintended impact on People of Color. These 8 monthly practice sessions are for those who want to identify and reframe the structures, systems, patterns and delivery of NVC that are centered in white dominant culture. Roxy will provide a framing of some of the issues that impact the relevancy and resonance of NVC in communities of color, grounded in bring insights and reflections from the NVC for You & Me workshop on Saturday and Sunday, a collaborative series for People of Color. Understand the nuances that create disconnection. Learn ways that NVC has unintended impact on People of Color. Collaborate as we reframe NVC so that its value can be shared without harm. This is ongoing work. It is preferred that you commit to the 8-month series, but even if you can’t attend all of them, come when you can.